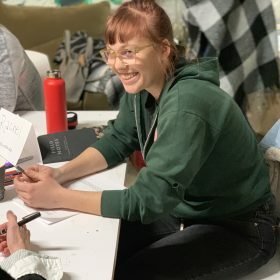 We wanted to give people the space to not judge themselves or list all the ways they wanted to change, but instead focus on creating intentions that were centered from a place of self-compassion and personal understanding. 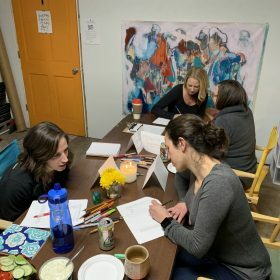 By setting BE Intentions for the year, and focusing on how we want to BE, you allow yourself the time and space to connect to what is most important to you – so that the intentions are driven from self-reflection and not external expectations that may be pressing down on you. 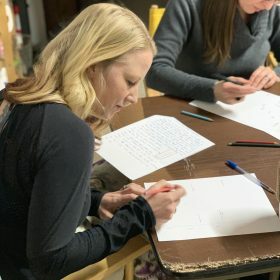 The goal is to have the BE Intentions act as guiding posts to help focus your energies for the whole year. 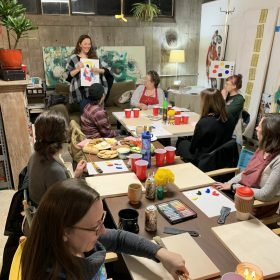 I led the participants through exercises that helped them uncover their aspirations and intentions for 2019, and Angela then led them through a process to create their own abstract painting that celebrates their unique story and acts as a reminder of how they want to BE in 2019. 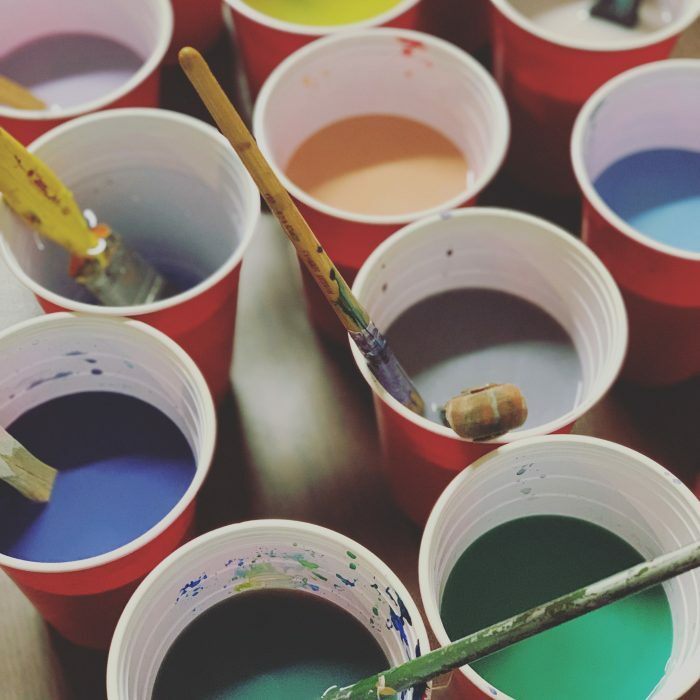 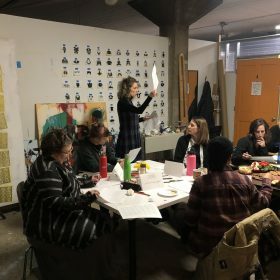 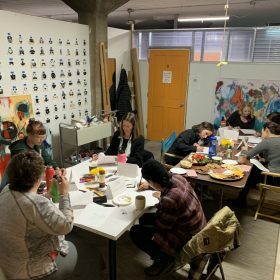 We intentionally kept the workshop smaller so that we could create a space that felt safe to share and reflect, and were thrilled that all the participants came with an open mind, their curiosity, and a willingness to tap into their creative being! 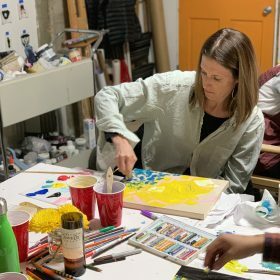 I loved facilitating, but equally loved watching people create their abstract expressionist paintings. 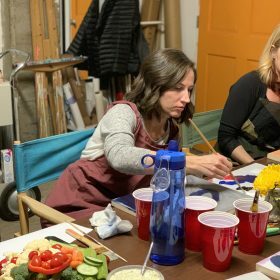 The participants got more into it with each new part of the activity, and you could visually see as they let go of their inhibitions and let their inner artist out! 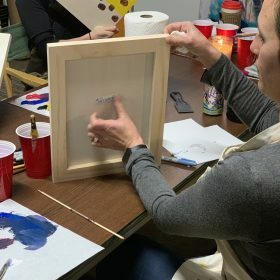 It is not often that we give ourselves time to play, and just let our feelings out in a visual way – and it was fun getting the chance to watch eight adults have this experience. 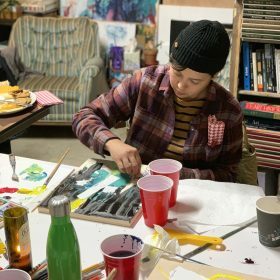 Each of their paintings were a unique representation of the painter.